The numbers show that most (84%, to be exact) hackers use personal information gleaned from social media profiles in performing cybercrime. This means that it’s the information we are sharing online that is putting us at risk of identity theft, fraud, cyberstalking, cyberbullying, and other forms of online abuse. There few simple steps to share more safely. Because when you share safely you become a more difficult target, and hackers are more likely to move on to the next, easier target. 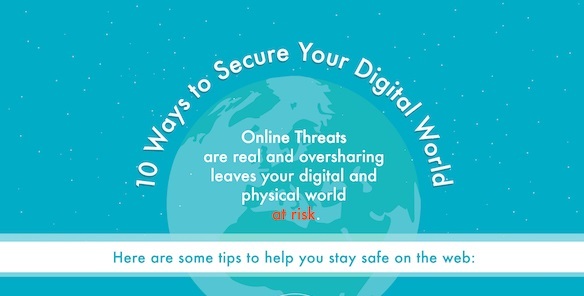 So, in the name of safe online sharing, Hueya put together a helpful infographic with 10 ways to share more safely.